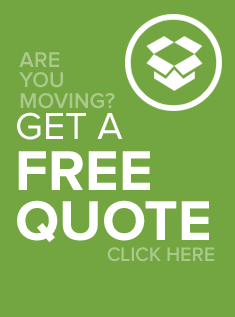 Are you looking for trucking quotes? OSI is one of America’s most progressive full-service third party logistics companies. OSI leverages extensive industry knowledge and leading technology to handle your transportation and shipping needs worldwide. We’ve partnered up with one of the industry’s largest 3pls, Global Tranz, in efforts to give our customers state of the art technology and maximize our carrier contracts. Today we handle freight shipping for some of Americas leading brands and Government agencies. Please see a list of trucking services we offer below. OSI offers a state of the art TMS for all of your LTL (Less Than Truck Load) needs. Unlike most of our competitors we have proprietary software that was built by professionals with years experience in the industry. It’s a simple to use software which will allow for our customers to compare different carriers, book pickups online and retrieve documentation. We’ve been told that our TMS is the easiest and most reliable in the industry. To set up your user name and password please contact us at anytime 954-753-4533. OSI give you many options. With our TMS you will be able to compare the best rates from top carriers, schedule pickups online and retrieve documentation. If you’re a bit old fashion and feel more comfortable having an account rep as your point of contact, OSI will appoint an exclusive account executive that will assist with whatever your needs are. If you’re looking to ship a full truck load contact OSI. We offer competitive rates for dry van freight, flatbed freight, refrigerated or reefer trucking as well as rail and intermodal shipping. Shipments that are larger than 15,000lbs and less than 45,000lbs typically classify as a full truck load (FTL or TL). Our vast amount of truckload carriers enables you to find the perfect match for your pallets or unit loads. If you’re shipping a container overseas or importing freight OSI can handle your drayage needs. As an NVOCC we’ve built relationships with drayage companies nationwide. We will find you the best price and service. We service all major ports. Thank you for spending the time to visit our website. Please feel free to contact us with any trucking quotes requests or any other questions you may have regarding trucking and trucking quotes.